Nomans Land Creative is the portfolio site of Noman Siddiqui, an award-winning UX / Interaction Design Architect and Manager. 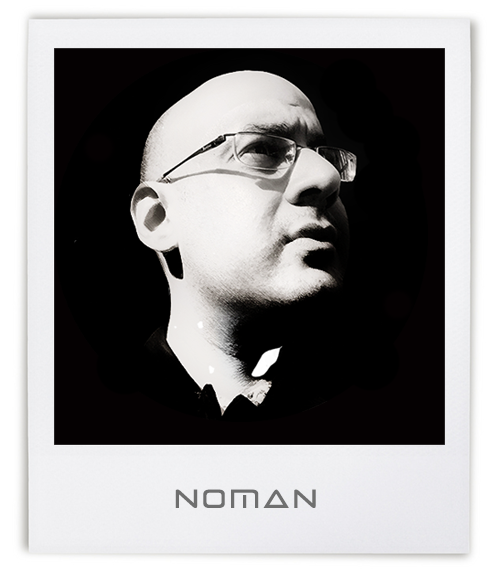 Noman provides senior level user-experience design expertise and strategic analysis for B2B and B2C solutions with a focus on Human-Centered Design. He has worked on UX projects for the following brands: Avanade (Accenture & Microsoft), Bridgestone, CGI, CIBC, DAC, GE, McKesson, Rogers, ROM, Shaw, SickKids, TD & UofT. Industries served: Arts & Culture, Advertising, Banking, Education, Environment, Finance, Government, Health & Wellness, Retail, Wealth Management and non-profits. ▹ View list of valued clients and employers. ▪ Expereince in designing over 40+ touchpoints, including: websites, apps, portals and kiosks. ▪ Part-time instructor (UI/UX) at the RED Academy. ▪ Guest lecturer on UX at George Brown College. ▪ Founder of iUX series on Medium. ▪ Deliver with Excellence Award, Avanade. ▪ BRAVO Award, UX/UI Design Transformation, CGI. ▪ CACUSS Innovation Award for SBR project. ▪ Excellence in Community Service, Ontario. ▪ Smiles Foundation Award, Dominican Republic.